I read pros and cons about this product so decided to check it out myself. Very pleased with everything - mug color, script lettering, mug size. Although my other mugs are in a cabinet, these are displayed on my mug tree. Purchasing this cup made my holiday shopping a breeze. It is beautifully crafted, the personalization is done to perfection, and it shows the recipient that you care! I will purchase this item until all of my close friends and relatives have one. It makes a great Christmas gift, birthday present, anniversary gift for couples, any occasion at all!! I bought these for my family in Colorado and they loved them! My sister and niece both loved their big cups of coffee! My Great Niece loved it for her iced tea. For the price and the quality they can't be beaten. Also I had them sent to Colorado and they got there quickly and in great shape. Both of the recepients of these gifts were very happy with them. This mug was a nice surprise - it is good sized, has a nice weight and fits well in your hand. I wish there were more fonts to choose from, but love the color used for the words! Very satisfied overall. Sometimes you want an inexpensive gift that is still thoughtful and meaningful. This is it. 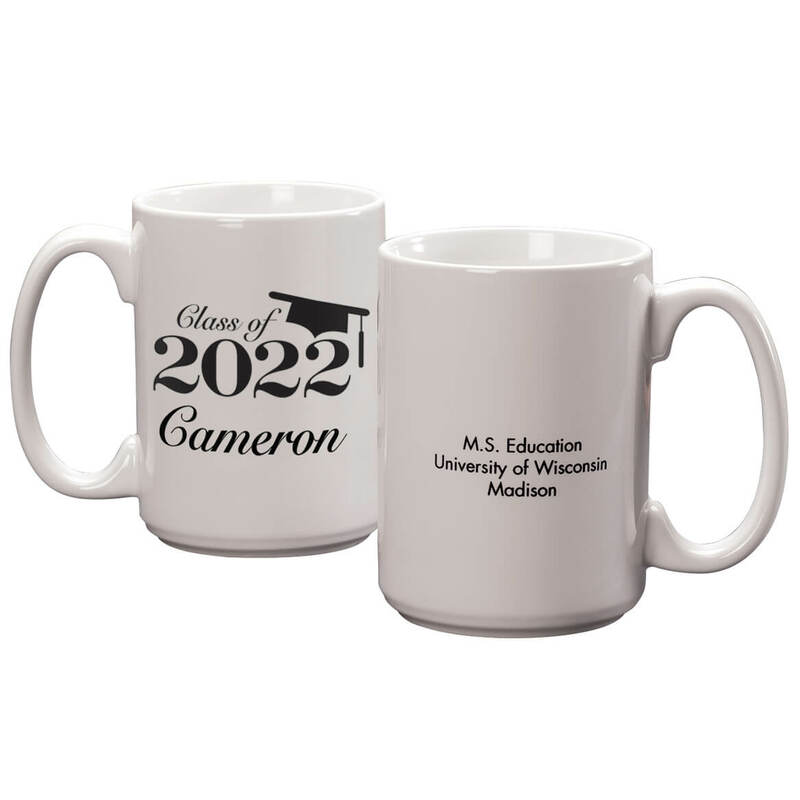 I ordered 60 Personalized Mugs for my family for Christmas. Everyone loved them and they are all very happy with the mugs. 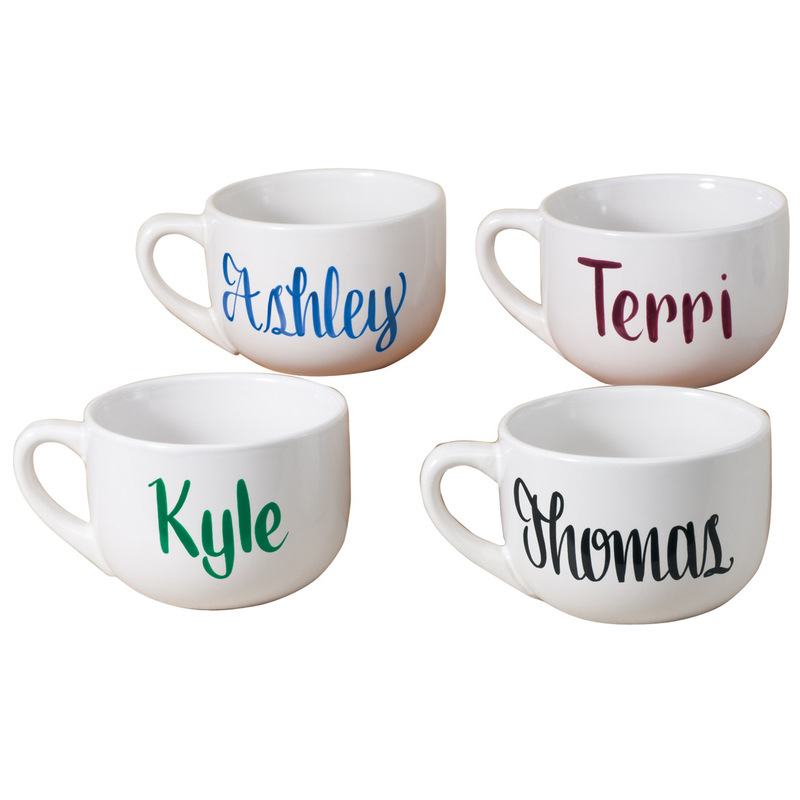 The lettering is beautiful and the mugs are large and very easy to clean. I want to purchase some mugs soon. [...] after ordering 8 different mugs with 8 different names, I thought there would be one I would have to send back. All were printed perfectly [...]Very Happy. This was a gift to replace an item a friend had taken. I ordered these mugs for our family and friends to use in our cabin. I also have four that say Guest! Everyone loves that they have their own mug and no one will take it! I have ordered about 35 of them! 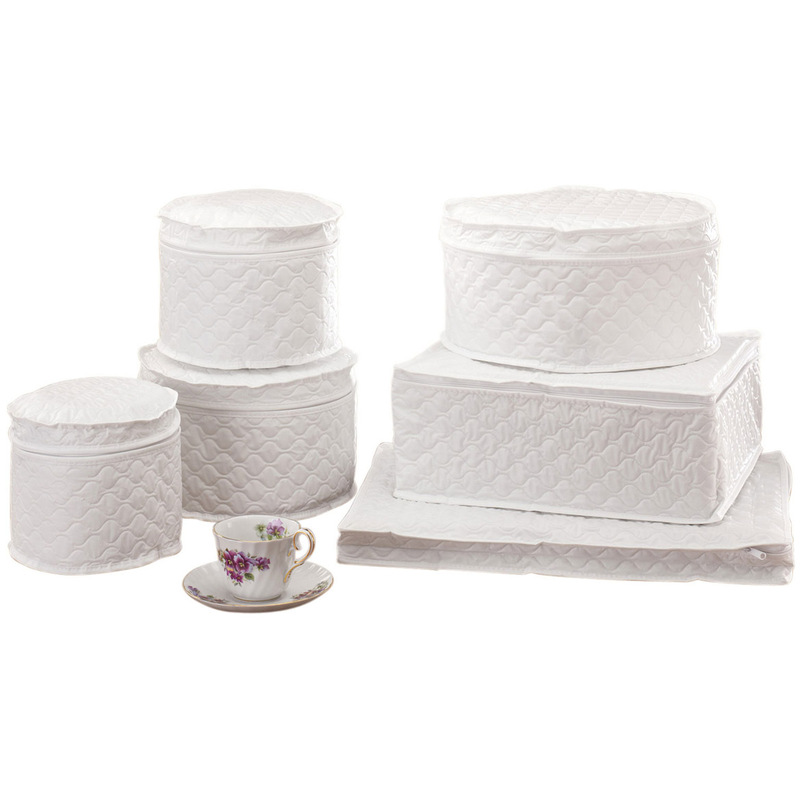 They are great and dish washer safe! I LOVE THEM AND PERFECT PRESENT FOR CHRISTMAS THIS YEAR, CAN'T WAIT TO GIVE THEM. LOVE THE PERSONALATION FITS PERFECT WITH THIS SITE ANYWAY CAN'T GO WRONG. WILL RECOMMEND HIGHLY. 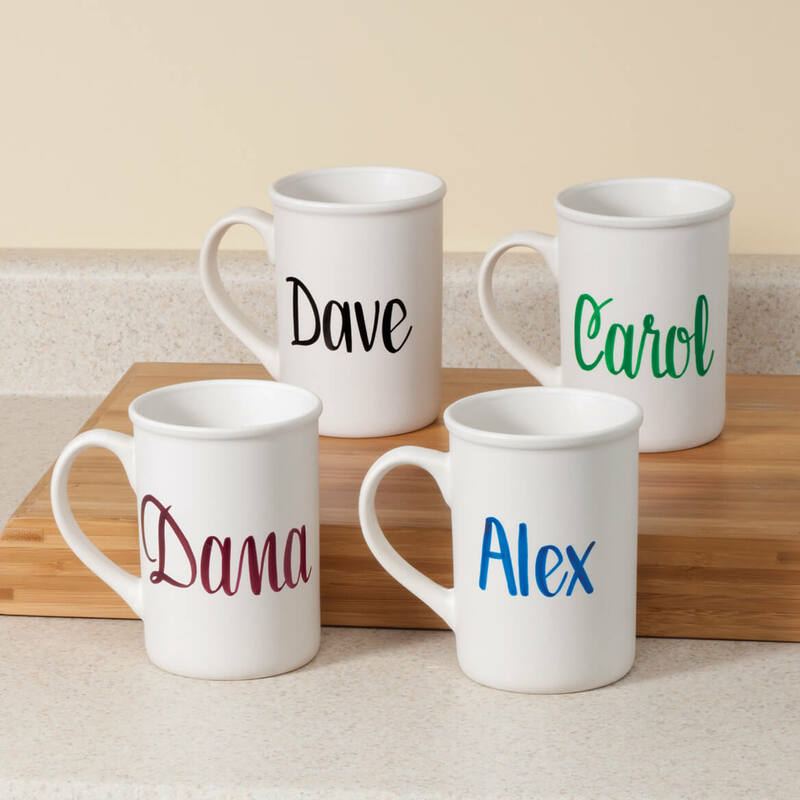 I LOVE THESE MUGS AND LOVE TO BE ABLE TO PERSONALIZE THEM, FOR SPECIAL PEOPLE IN MY LIFE. PERFECT GIFTS LOOK FORWARD GIVING THEM. DEFINETLY RECOMMEND NOT TOO HEAVY AND SO PRETTY TOO. THANKS SO MUCH!!! the whole family should have one!! Started out to get one for the grandson, but ended up getting one for the wife and I, also. Impressed with the quality of the mug and the lettering. My friend loved it. Was exactly as advertised. Fast service. Love the personalized items. 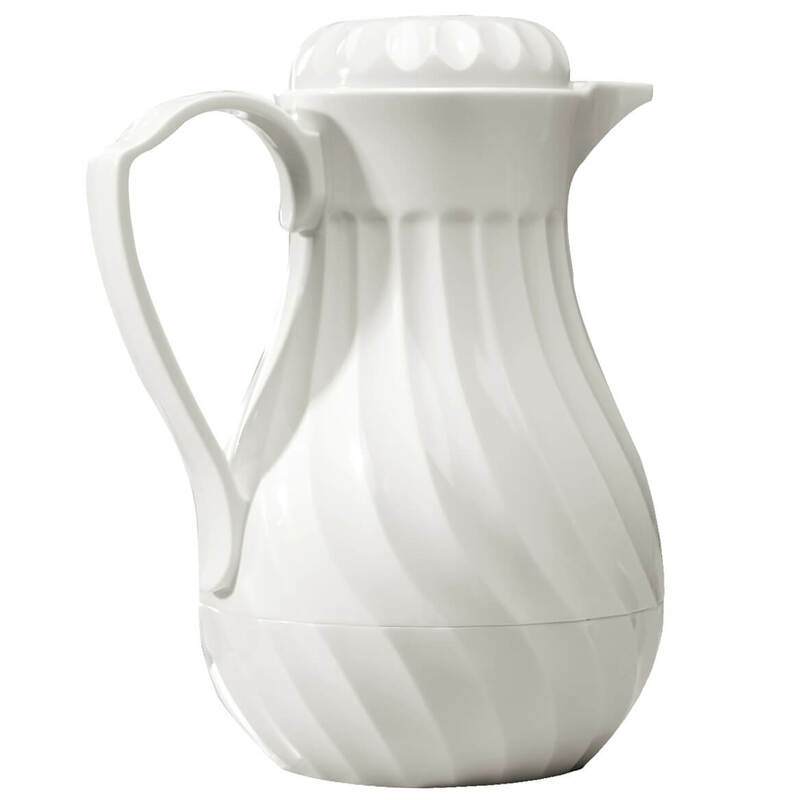 Looks great and is perfect for coffee anytime. I needed a bunch of gifts for my dog's vets office. I thought this was a very nice touch. This mug is great especially bc it's personalized and it keeps your hot drink hot for a long while. My husband loved his. I was so happy that each of the five personalized coffee mugs, was boxed individually. Each person's name was written on the outside of the box, so that I did not have to open each box. They are ready to be wrapped up as gifts, and I didn't have to hunt for gift boxes. I was very impressed!! I have always been happy with everything I order from Miles Kimball Catalog. Great mug! Nice size and beautiful personalization. Purchased this cup as a gift for my grandson for Christmas. I love it and hope he will too. Nice gift idea along with the mug warmer. Nice sturdy and large mug. They were given as gifts. The recipients loved them! Everyone like there gift, yes I will be ordering it again. Bought these mugs with the 22 oz. soup mugs. Bought 2 of each with the names of the bride and groom to be personalized. Color and a personalized name made it more special. A BIG Hit! This is my third mug and I would buy it again! Bought it as a gift because they liked mine so much! Very good cup. Letters are great. I LOVE THIS MUGS WORKS GREAT FOR COFFEE. THEY ARE JUST THE RIGHT SIZE AND LOVE THAT I CAN PERSONALIZE THEM TOO. PEOPLE LIKE IT THAT THEY CAN HAVE THEIR NAME ON THEIR MUG. MAKES THEM FEEL SPECIAL. I WILL DEFINETLY RECOMMEND THESE MUGS FOR EVERDAY USE OR AS GIFTS. Based on my purchase of soup bowls previously I'm sure these will be well received along with coffee. The names on the soup bowls have worn off after about 5 or so years but they are still being used. I'm sure these will last a long time also. My grandson loves it and uses it all the time. Was able to personalize specifically with my nephew's nickname. He loved it. I have purchased six of these mugs. The first two were for my granddaughters hot chocolate.Then my son and his wife each wanted one they liked them so much. As it goes my daughter wanted one also. So lastly I figured may as well get one for myself. Perfect size for a one cup coffee / hot chocolate maker. Every body gets their own cup. Great price considering the personal names. Fast shipping made it better. my grand daughter was thrilled to get her own mug! I have purchased 5 mugs. One for each of my granddaughters and one for myself and my daughter. We use the mugs when we have hot cocoa night. The grands love that they have their own personal mug. The mugs are great and the ink colors are of a good quality. I really love the mugs and the color is amaizing. I bought the for a gift amd i know they will love it. Absolutely love them. Great gifts! I love having my name on my mug. I have coffee in my great new tall mug every morning. I love having my name on my mug. In the morning I can reach for my own mug and know no one else will use it. 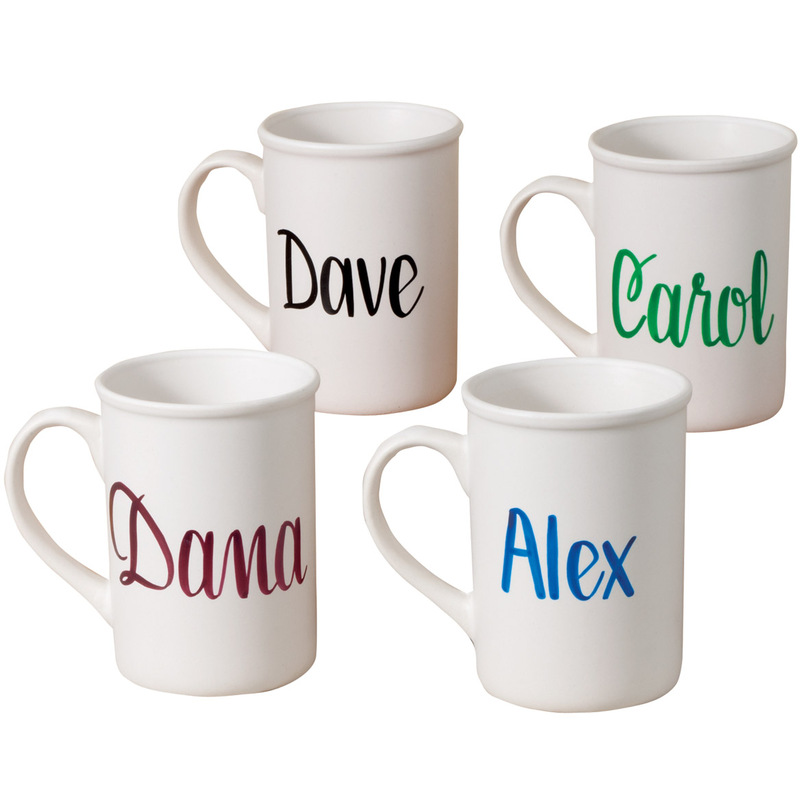 The Coffee Mug is a fabulous gift for family members, coworkers and friends. It was the perfect Christmas gift - they all love it. I picked the Script print and it was beautifully done in all the colors offered. I GAVE EVERYONE A SET FOR CHRISTMAS AND THEY WERE A BIG HIT. Excellent gift .This mug exceeded our expectations!!!! The personalization was spectacular.I'm sure it will be put to good use!!! I'm going to order more! I can never find my name (and others) on store products! For those hard to find men gifts. I liked that you can personalized, But you Can't have All Letters Capitalized! Loved the personalization since some have special spelling of their names. Using for Christmas, will add package of cocoa with other things. This was a perfect gift for my two godsons, who have unusual names. They were so surprised and delighted to see a mug with their names on them! Purchased several of these personalized mugs for Christmas presents this year. Was quite pleased to see that my sister's name was spelled exactly as I had designated. "Else" is a Danish name, and people are always trying to spell it as ELSA or ELSIE or even ILSA. I bought one for my best friend, too. The print is attractive and the size is perfect. My only problem is, that on my cup, a little corner of my name is starting to come up. I don't have a dishwasher, so I am surprised that this would happen with hand washing. So, please, be careful, even with hand washing these adorable cups! Read my review for the soup mug, it will be the same for this product. Very pleased with both items. My sons (2) and I love our personalized mugs. I and one of my son have a very common name (Marie & Nicholas) and when we go to the stores, we like to look at the things that have peoples names on it. Unfortunately, our names are very common and the stores are always out of stock. My other son (Carlos) has a spanish name so we barely see anything personalized with it. We can find Charles or Carl, but he says that that is not his name and does not want to buy it. Now we all have our own personalized mugs and nobody else uses them. They are great to put in the microwave to heat up our morning "hot" chocolate. They also can be put in the dishwasher for cleaning and the names have not gotten erased by the heat of the water. Thank you for having almost all the products that can be personalized. Really pleased with my mugs!! It was hard to find a coffee mug that can be personalized in a 14 oz or larger. This was the only one I could find. I was dissapointed with the finish, it is not clear coated and looks pourous, I think the coffee will stain it for sure. Also the color looks white in the photo but it is more cream. These were purchased as gifts. No feedback as of yet from recipients,except thought my be good for pencil cup for desk. Not sure if would use for drinking because of finish. A little larger than expected. The green and blue colors used for personalition were great. The burgundy looked like black written over with pink. I did not order a plain black personalization. I bought 20 of these mugs as Christmas gifts for my sisters, kids, nieces and nephews and their spouses. 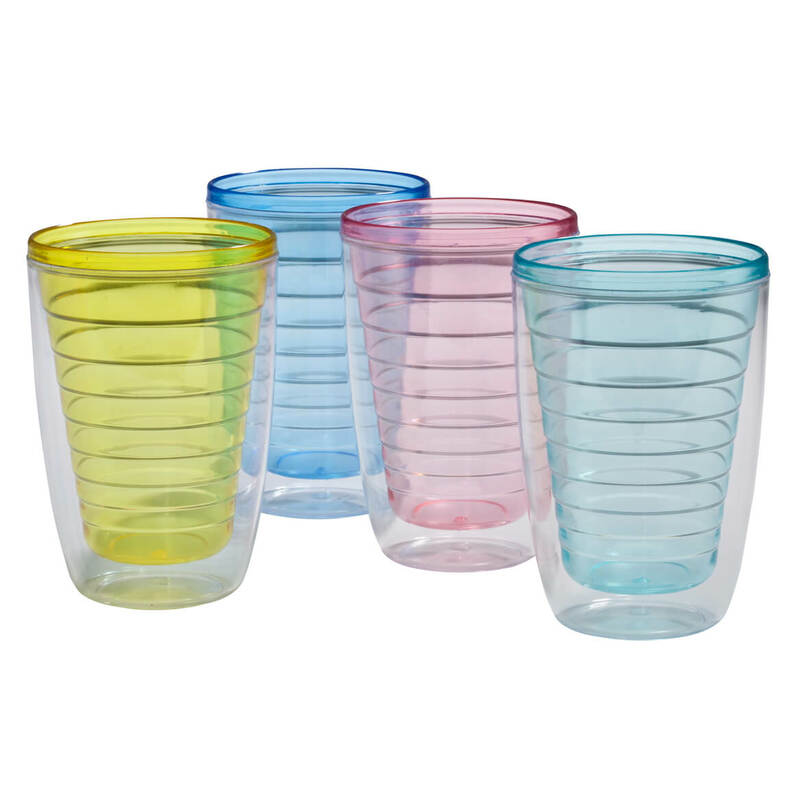 They look nice and are a good size..what I don't like is that they are not dishwasher safe. That's inconvenient. I would have rather spent a bit more money in exchange for a better quality mug. I bought 8 mugs for Xmas gifts, four of them had defects and had to be replaced. There was dimples and holes in ceramic everywhere, holes where glazing missed and blobs of ceramic or glazing not smoothed out before firing mug, glazing had dripping areas like how paint runs or drools. I replaced several and one three times and gave up for a refund. I was sooooooo disappointed for such a good idea turned bad. All because of their poor workmanship and bad inspection before shipping them. When my daughter opened her personalized mug she said, "OH, it has a hole in it!" There was a defect in the bottom that did look like a rough hole. We don't live near each other so I brought it back home and called M.K. They are sending me a new one without me having to pay shipping charges. That's what I love about this company. I was very dissappointed. It's nice on the picture but in actual,the cup has poor quality. The cup gets stained easily because there was no glossy finishing touch. The name printed was done poorly. I ordered 2 as gifts and one mug broke after only 3 uses. Was not impressed enough with product to reorder. This was a rare disappointment as I am a satisfied customer of Walter Drake. After a short period of time the lettering comes off. Even if you follow the instructions to hand wash.
Do not purchase them if you want to use for beverages. Thank you for your review. As stated in the item description, it needs to be handwashed. The dishwasher will cause the personalization to come off. We apologize for any inconvenience. We will all have our personal mugs. They are really nice plus you can put your name on it! Grandson wanted it for his mom. Several months ago, i ordered the soup bowls with initials. The recipients were elated and asked me about coffee mugs. Well,you know the answer because I ordered the coffee mugs. We bought the bowls which were very nice and big. Hoping this will be just as big cups and not small ones. Had the bowls personalized, and did the same for the cups. I thought they would make cool Christmas gifts. Now they don't have to argue about whose cup is whose. I like coffee and want to know that TIMOTHY is drinking his coffee. My granddaughter and her college roommates love the personalized coffee mugs. It's a perfect size for our morning tea! I need a big handled coffee cup. My daughter loves roosters so this is a must have...the rooster cups!! I love coffee mugs I want one with my name on it. Simple to order and had so many people to buy for so chose these mugs for all. Just the perfect item for the occasion. I purchased this cup so that everyone will leave my cup alone!!! ITS PERSONAL BUT NOT EXPENSIVE! It something for someone for Christmas. These are just for fun -- his and hers. For my grandchildren, so they would have their very own cups that they don't have to share with their siblings! Perfect for my Christmas gifts. I own 5 more. Perfect size for my morning coffee. Looks like what I might like, especially since I can personalize them. How long does it take to put the name on the cup and deliver it ??? BEST ANSWER: Thank you for your question. All personalized items take 6-10 business days to arrive. We hope this information will be of help to you. are the cups microwave microwave safe? BEST ANSWER: I purchased the mug for my daughter. I'm not sure if she has used it in the microwave but I do know that we have sent it through the dishwasher multiple times and it came out just fine. I'm sorry I couldn't answer your question. Yes, I have used mine both in my microwave & dishwasher ... the only thing to watch out for is using any brush or abrasive scrubber over personalized name area. I've used them in the microwave with no problems. is this plastic or glass what does it weight . what is the cup made out of ?? Thank you for your question. The coffee mug is made of Stoneware. We hope this information will be of help to you. I want my name on the cup Linda where do I put that? On the product page above Qty. there is a select box. You select either plain or personalized. When you select personalized, a green button appears that takes you to the personalize screen. You enter your information and then add to your cart from there. There's a place on the form that says "Personalize", or something along that line; that's where your name goes. BEST ANSWER: Thank you for your question. It is not recommended as the hand painted personalization will come off. We hope this information will be of help to you. Where are rooster coffee mugs? BEST ANSWER: I have no idea to what you are referring regarding "where" -- but the personalization is like any other inking legible and large enough to see the name across the coffee table if you are right-handed. Oh the where? If you are left-handed, you will be reading your name and the person across the table will be seeing the coffee cup color. My cups are wearing thin on the writing because I use them dial and frequently too. Can you have two lines of text? where are the mugs manufactured? BEST ANSWER: Thank you for your question. The mug is made in China. We hope this information will be of help to you. Are these mugs acrylic or glass? BEST ANSWER: Thank you for your question. The latte mug is made of stoneware. We hope this information will be of help to you. Can I get each name in the same color and can I have Bonco Beauties put on the other side? BEST ANSWER: Thank you for your question. Only one size is personalized and we do not personalize items with logos. We hope this information will be of help to you. Need 5 coffee mugs, personalized? can the characters be numbers? BEST ANSWER: Thank you for your question. Yes, this item can be personalized with numbers. We hope this information will be of help to you. Deana, I submitted a question and it's listed here, but can you tell me where (country) the cup is made?